Is it reaching the destination that brings happiness or the moments that we share during the journey? This was playing in my head mid-way through my journey to India’s desert city Jaipur, affectionately called the “Pink City” because of the pink walls and monuments that the city is famous for. The stunning remains of an ancient era attracts large numbers of visitors. I had always found traveling to be liberating and therapeutic and being a nature lover, the hope of exploring new horizons excites me. The anticipation was finally over. I had been dreaming of exploring Jaipur for a long time but as they say ‘people don’t take trips, trips take people’ and this time it was my turn to be taken. Jaipur is a colorful combination of the ancient and contemporary and you will come across a multitude of forts and palaces along with urban neighborhoods and shopping centers. Whether you are out for an exhilarating outing or in search of peace, Jaipur is the city for you. The beautiful royal headstones, palaces and alluring havelis are no doubt Jaipur’s premier attractions that serve as a majestic reminder of their royal heritage with their elaborate architecture. Reaching Jaipur is easy as there are many flights operating from Indira Gandhi International Airport in Delhi. Once in the city, there are a handful of options for commuting: private cabs, auto rickshaws and even Uber services which are easily available. Reaching Jaipur around 6 am we headed to our hotel “Traditional Heritage Haveli” which was pre-booked from Kathmandu. 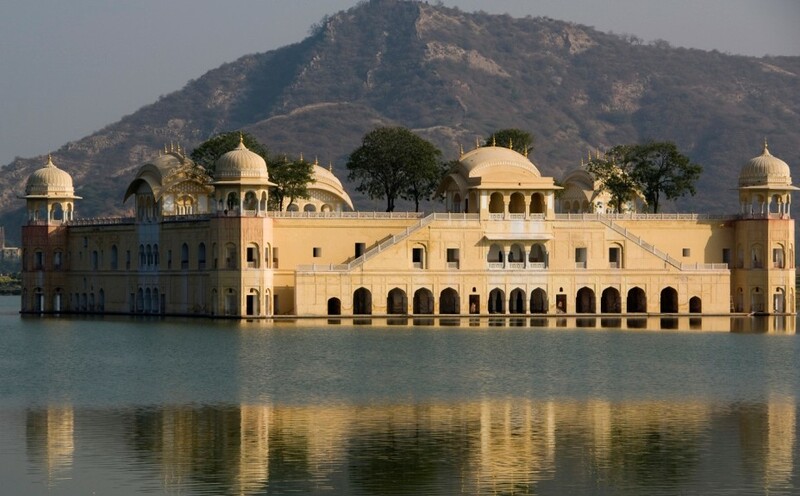 However, Jaipur gives people a variety of choices when it comes to accommodation, from some of the most expensive palace-hotels in India to many budget hotels. The hotel we stayed in was like heaven on earth with superb hospitality providing us a royal experience in everything right from the rooms, dining to washrooms. 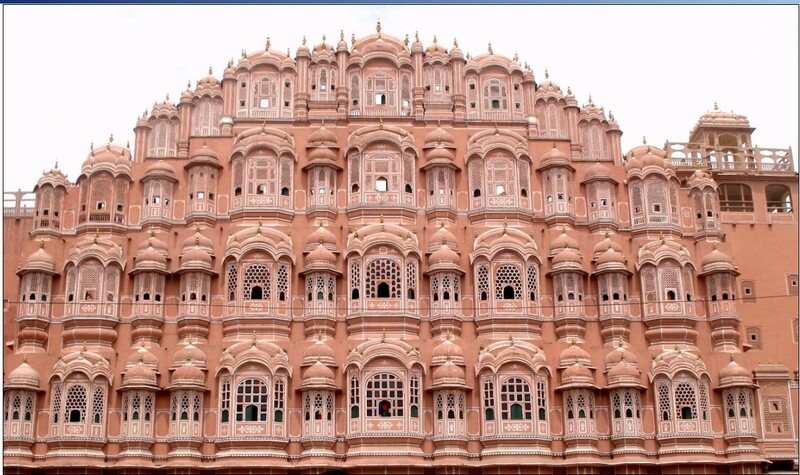 After breakfast, we headed to our first destination, The Hawa Mahal. A five-storey structure, Hawa Mahal’s exterior is decorated with complex lattice work which portrays the rich architecture of that time. We were told that the brick- painted delicately honeycombed hive structure was built in 1799 by Maharaja Sawai Pratap Singh so that the royal ladies could watch festivals and processions of the city as they moved along the streets below. The higher levels offer majestic views of Jantar Mantar and the City Palace in one direction while on the other side is the Sireh Deori Bazaar. Just out of sight, in the arid hill country surrounding the city is the fairy-tale grandeur of Amer Fort, Jaipur’s star attraction. 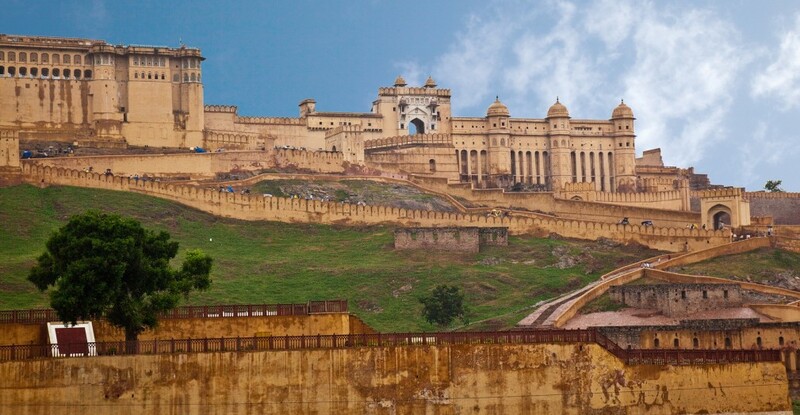 Designed in a way that artificially creates a cool climate with winds blowing over the cascades of water, Amer Fort is an amalgamation of Indian and Mughal styles of architecture. The Sheesh Mahal (Glass Palace) inside the Amer Fort is one of my favorites. It’s said that one candle that was lit in the night, reflected throughout the palace, because of the glass work, making the ceiling look like the night sky filled with twinkling stars. There is a place at the palace where you take a picture from one mirror while you pose at another. One can imagine how the entire palace is designed out of glasses enabling you to click such pictures. Opposite the other entrance to the fort, we saw an area with huge vessels. We were told that it was not a part of the original Amer Fort but was made for the blockbuster film- Jodha Akbar and the vessels were used by Aishwarya Rai to cook for Hritik Roshan. After having our lunch at a road-side dhaba, we visited City Palace located in the heart of city. The palace stands apart for its excellent art and architecture and has some must-see places like the Diwan-I-Khas, weaponry display at the Maharani Palace and the Baggi Khana, a museum of the Maharaja's rides. What stood apart was the museum featuring a selected collection of Rajasthani dresses, a fascinating armory of Mughal and Rajput weapons, besides swords of all shapes and sizes. This palace actually gave me a rich insight into the bygone era depicting the royal lifestyle of a bygone era. Located at the heart of the city, it continues to house the former royal family; the Jantar Mantar and the Royal Observatory. This splendid monument showcases the world’s largest sundial and was designated a UNESCO World Heritage Site. It’s important to explore the culture of the place one is visiting as it can help you understand the place better. So, the next day, I checked out Chokhi Dhani village which brings to life a colorful Rajasthani heritage that can leave you awestruck with all the attractions and elements of ethnic culture and tradition. Right from the welcome tilak that reminded me of “PADHARO MAHRE DES" hospitality of Rajasthan, the mandir, village bazaar, folk dances, animal rides for children, bioscope, village style photo studio, jyotish, mehendi, games zone, I relished every moment of this wonderful village theme concept. Shopping is equally fun in the city which has many splendid bazaars that sell souvenirs such as beautiful miniature paintings on silk, silver jewelry etc. One of them is the Johri Bazaar which is a destination for all the Rajasthani jewelry and is super crowded. This red colored market had shops of the same size and every time we entered a shop, we took two steps down. One of the shopkeepers told me that it was the way to welcome buyers. While in Jaipur, if your luggage still has some space you can definitely shop for some colorful leheriya fabrics and Jaipuria Razais which are soft velvety quilts that will keep you warm in winter back home. I bought the famous Rajasthani jootis and some leather products from the Bapu Bazaar for my friends and relatives. From camel safaris to resorts offering authentic Rajasthani lifestyle, Jaipur will always remain in my heart for the plethora of activities it offered. In a nutshell, the city is the perfect tourist destination that has something for all, from backpackers, luxury travelers, wanderers and the stressed out people like me who require a break from their hectic life in Kathmandu.